Robert the Bruce’s words resonate with me when I think about how we help and train our dogs. Far too many dog owners try a bit and then give up when their pooch isn’t rapidly getting everything right. I, all too often, hear reasons why an owner never lets their dog off the lead for proper exercise and socialisation. ‘He runs off”, “he’s bad with other dogs”, “he’s frightened”. The list goes on. Every time I get into conversations with dog owners like these it becomes apparent that they have not done a lot to help their dog. Often telling me “I tried training my dog in recall, ‘once” or similar ‘excuses’ for not getting any success with their pooch. Well, here’s the thing. 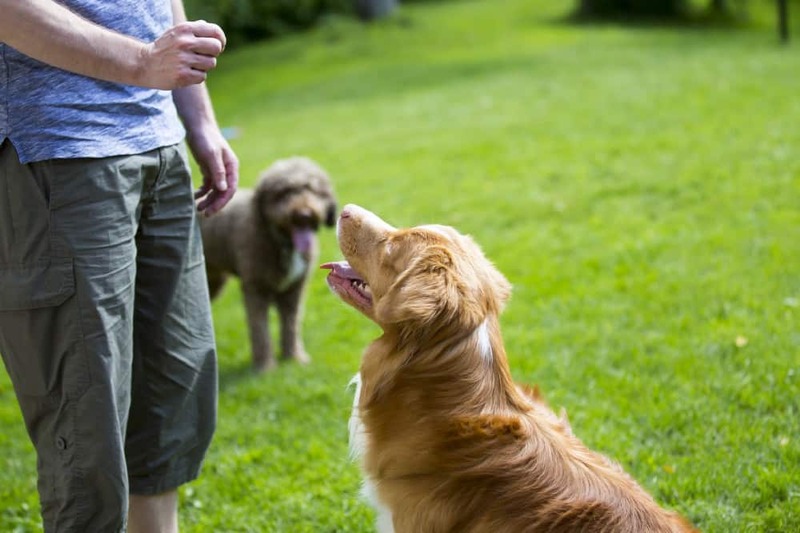 If you really want to develop a good relationship with your dog from a behavioural and training point of view, you must be prepared to work at it. There is no magic bullet or switch that turns your dog into the perfectly behaved pooch you crave. All dogs are different; they learn at different speeds and they have individual personalities. So, don’t be surprised when your pedigree mutt behaves entirely differently to the same breed of mutt your friend has. It is, simply, not good enough to try a couple of times with whatever you are trying to achieve, be it recall or walking calmly on a lead. I suggest that you seek out a good trainer or behaviourist if you need one. Take time doing this and look for trainers who work closely with you and employ reward based practises. Don’t be overly impressed with multiple memberships of important sounding ‘professional’ organisations. Qualifications count for nothing if the trainer or behaviourist displays little empathy for you or your dog. The bottom line here is that every dog owner carries the responsibility of making sure their canine companion is trained, behaves properly and is allowed to live as a dog. This means, plenty of time of lead, exploring, meeting and socialising with other dogs and people. Do not give up when the going gets a little tough. You must persist and be consistent — this applies to everyone who interacts with your dog in the family. If you shrink from these responsibilities you must take a close look at yourself and question whether a dog is for you. Remember, they are sentient beings and deserve the best life they can have. Keeping them on a lead all the time, for whatever reason, is failing your dog.